The large phrase above is Bl. George’s motto: Conquer Evil with Good. 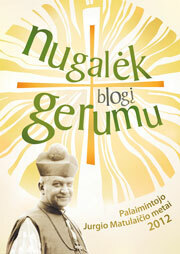 The Marians in the US have produced a new website about him: Blessed George Matulaitis-Matulewicz.